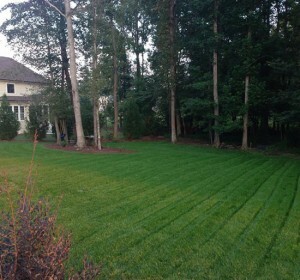 Why lay sod to create a beautiful Lifetime Lawn? 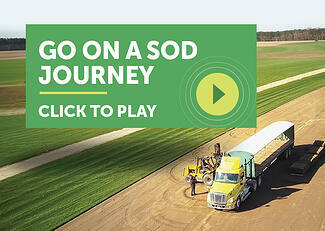 To start: Sod provides an instant lawn! Protects the inside of your home and your clean white sidewalk/driveway from muddy, dirty feet tracks. A clean, soft, safe playing surface for children and pets. A comfortable place to recreate with friends and family, to study, read a novel, or even just sit and stare (to actually relax!). Lawns provide high plant density (above and below ground in the blades and roots) that slows and reduces stormwater runoff. They absorb rainfall and recharge groundwater. Lawns trap ~12 million tons per year of dirt and dust. They absorb global warming gasses, such as carbon dioxide. For instance, a golf course traps 1 ton of carbon per acre a year. A 50’ x 50’ lawn (2,500 ft2) releases enough oxygen for a family of four. Significantly reduces air temperatures around the house by 10 to 20 degrees. The front lawns of 8 houses have the cooling effect of about 70 tons of air conditioning. That's amazing when the average home has an air conditioner with just a three or four ton capacity. The average front lawn provides more than twice the cooling effect of the normal whole house air conditioner for the same house. Lawns absorb some solar radiation during photosynthesis. 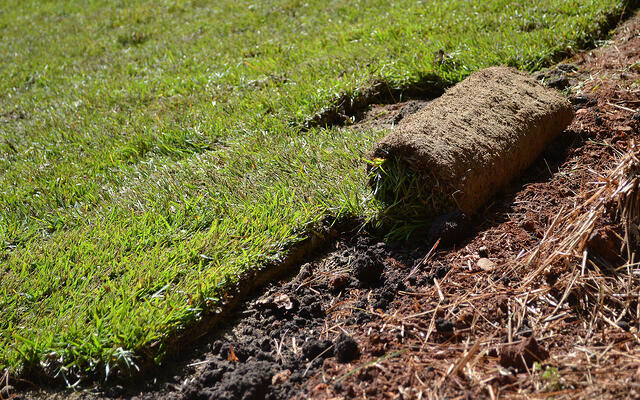 Erosion control: lawns protect the soil from sediment loss. An inexpensive and reliable way to protect from erosion: grass protects 8 to 15 times better than man-made materials and 10 times better than straw. Improves the soil: turnover of roots and leaf tissue adds organic matter to the soil. Beauty: green is pleasing and easy on the eyes. Comfort: a beautiful lawn is soothing and welcoming. Unity: lawns visually tie the design together. Contrast: the smoothness of a lawn, be it a flat or undulating terrain, accents the interest of color and texture in flower and shrub borders. Dual purpose functionality: playing fields and recreational areas also become visual open spaces. Lawns reduce noise by as much as 50%. Increases curb appeal and the value of your home or business. See Keeping Your House Value Up. 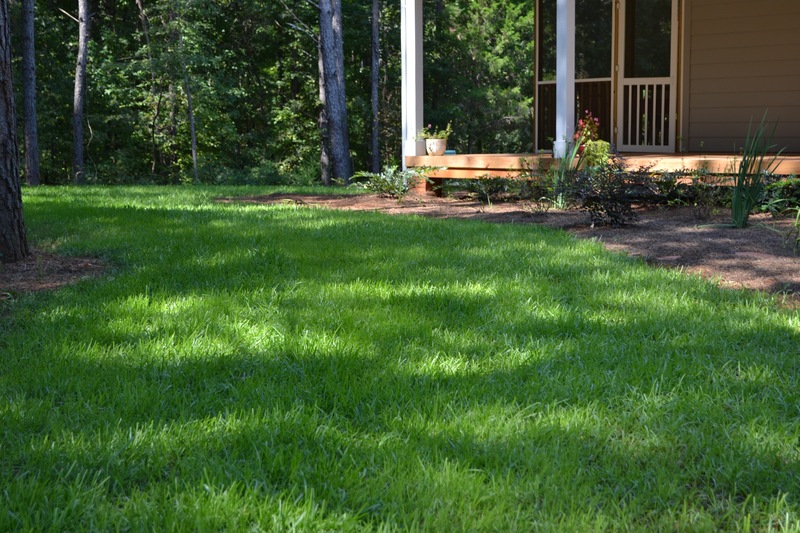 With proper care, your investment in sod remains an asset with our Lifetime Lawns. Compostable material: grass clippings are a key ingredient to the compost pile. For more information on the benefits of a lawn, follow this link to The Lawn Institute's website. Closely trimmed grass has served mankind for centuries. Evidence suggests that lawns were present in China more than 5,000 years ago and that the Mayans and Aztecs had lawns in the New World.